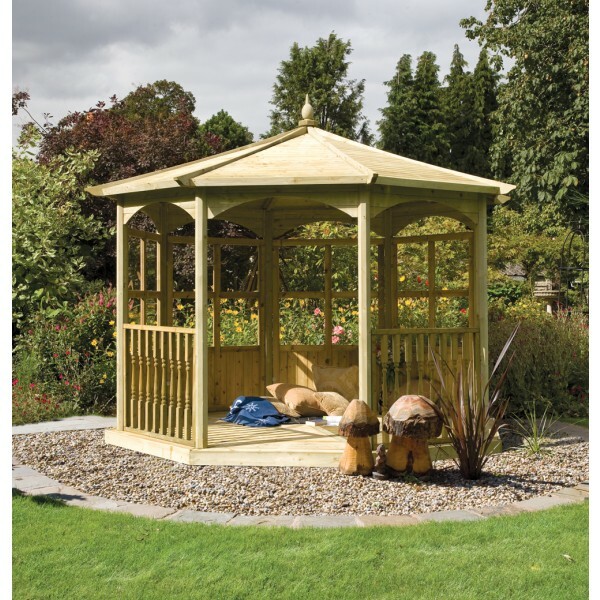 If you want a bit of shelter in your garden but prefer to feel more connected to your outdoor space, take a look at the Budleigh Gazebo (Hex) No Sides. 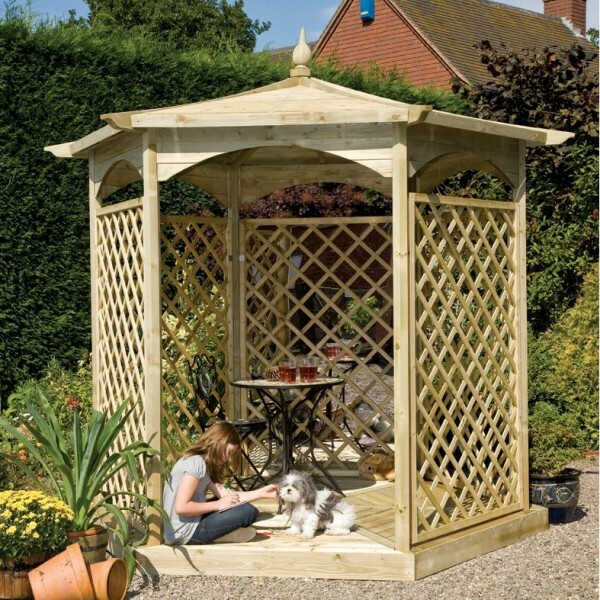 A more open plan style, this design looks more like a pergola than a traditional gazebo. 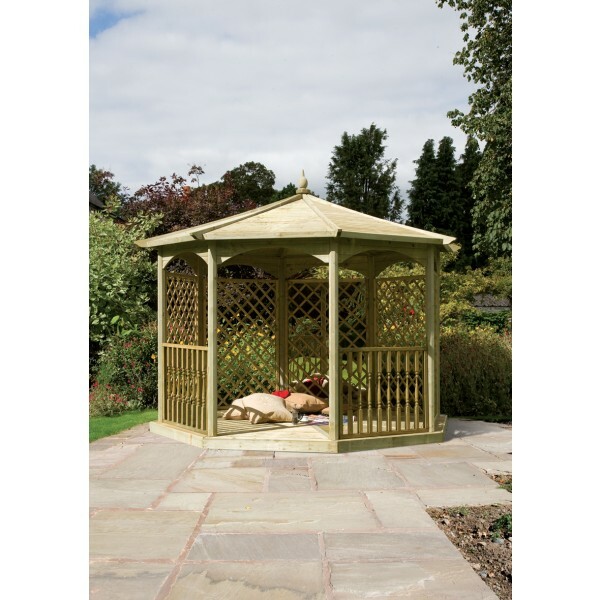 With a width of 3.18m, a height of 2.73m and depth of 3.20m, this gazebo works well in medium and larger gardens, commanding attention. The Budleigh is the ideal centrepiece, drawing the landscaping together into a focal point where you can relax, enjoy al fresco dining or even a drink or two on a warm summer’s night. 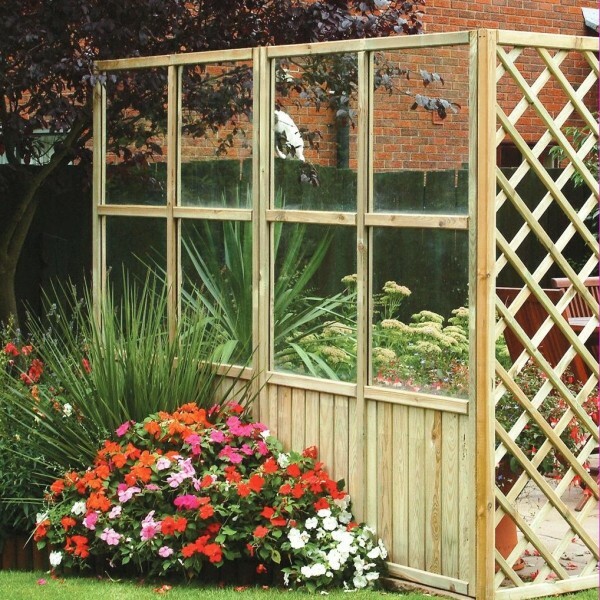 Unlike the other designs in the Budleigh range, there’s no trellis or glass sides on this model, leaving it completely open. 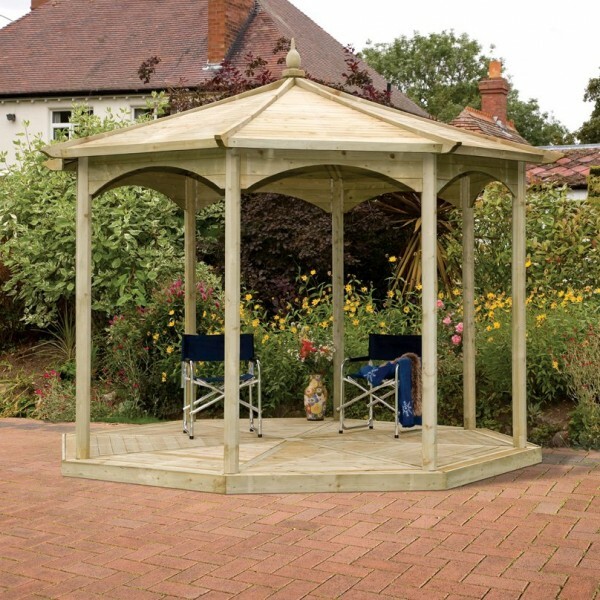 Also described as the Gazebo Bandstand, this is a simplistic style which has sturdy timber decking as a base and a solid wood roof. 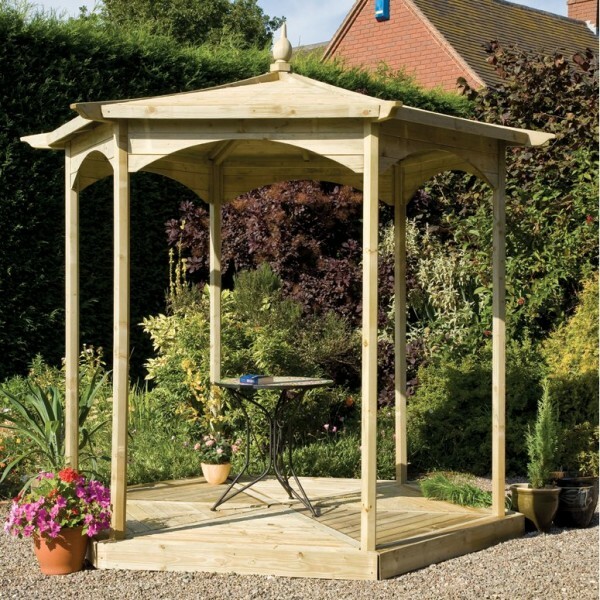 Similar to the other Budleigh gazebos, the Bandstand has a hexagonal shape, giving it an attractive appearance. 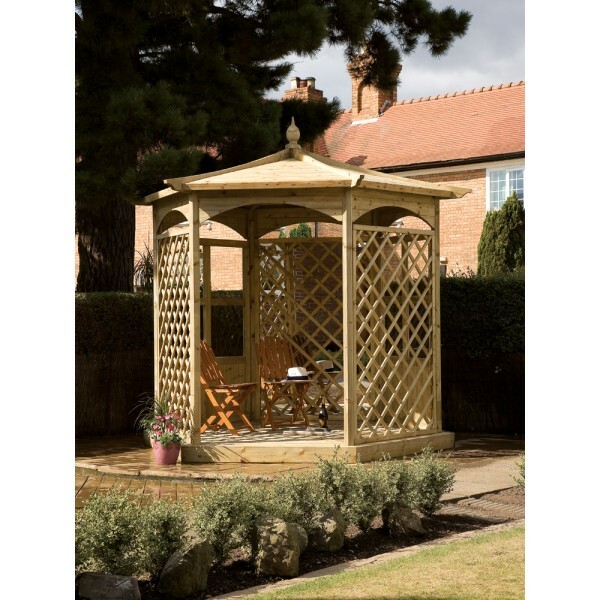 You can enjoy this gazebo with a clear conscience as all of our products are made from premium timber which is harvested from sustainable sources. 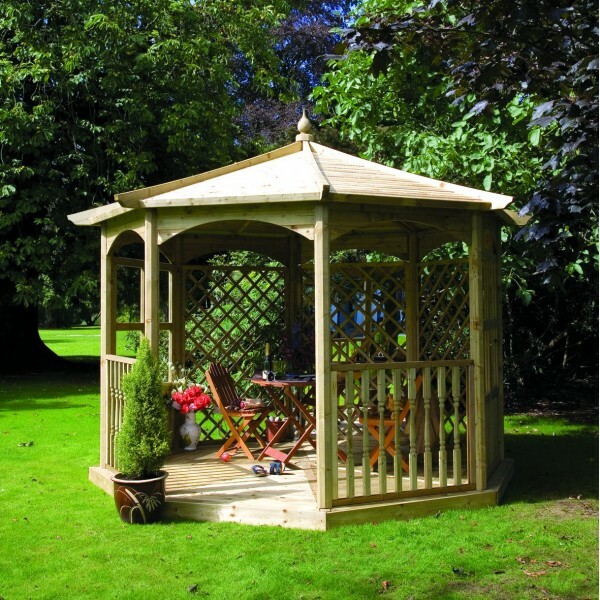 Our gazebos are pressure treated to extend their lifespan, driving preservative deep into the wood to protect against the risks of fungus, dacay and rot. The standard Budleigh Gazebo (Gazebo Bandstand) has no sides. 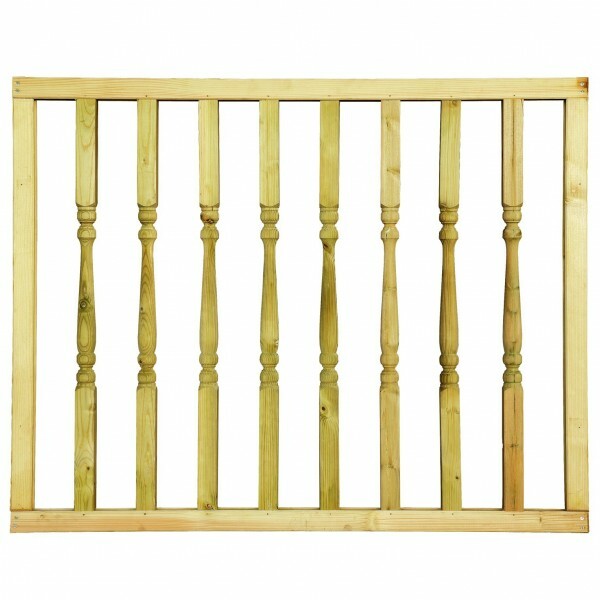 Additional panels are available to suit or alternatively there are 3 alternative options in the Budleigh collection.